From The Virginian-Pilot, Saturday, Feb 21st edition: A note from our publisher, Pat Richardson. 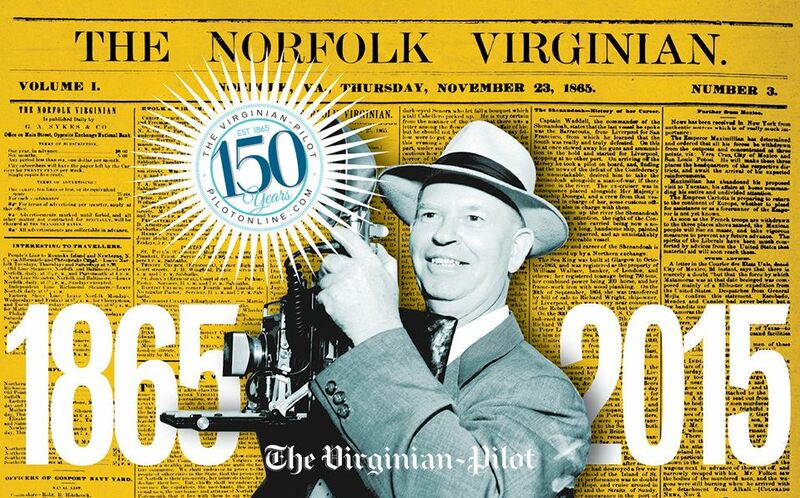 TODAY MARKS the official kickoff of a monthslong celebration of our anniversary – The Virginian-Pilot’s 150th. Since 1865, we have been chronicling civic issues and life in this community. Of course, 150 years ago, those issues included filthy streets and the lack of police following the Civil War occupation. 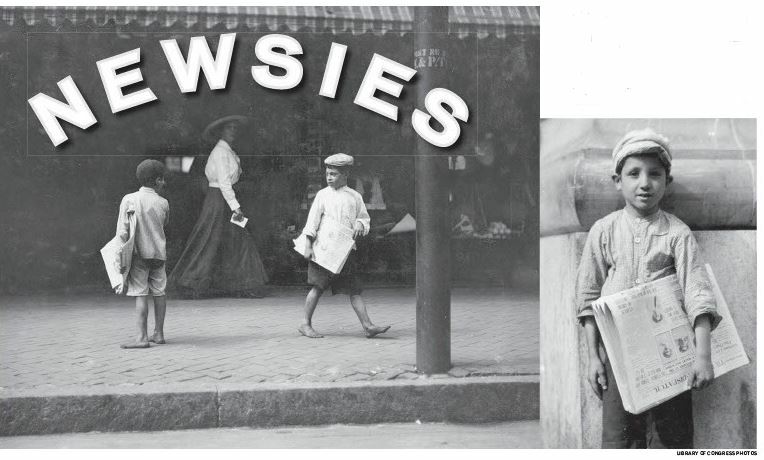 We cover vastly different things now, but the paper has prospered under the skilled hands of a young Samuel L. Slover, who founded it; his nephew Frank Batten, who grew and improved it; and his son Frank Batten Jr., who propelled the paper forward into the digital age. The newspaper has seen significant changes from the early days of cold type, to the advent of heatset printing, to today’s rapidly changing digital world. What hasn't changed is our commitment to providing our community with valuable local news and information. That is our core value, and I’m sure it will serve us well in the next 150 years, too. We are fortunate to live in the best society in the world. Our First Amendment rights give individuals and the press the freedom to speak freely and are an important part of our culture. As I settle back into this community, I am reminded how precious this freedom is – especially when I hear stories about local servicemen and women who put their lives on the line every day to ensure our liberties. News is a public trust, and reporting it is a critically important public service. A strong and vibrant newspaper sees itself as a trusted community steward responsible for recording the good, bad and ugly. It is hard for me to imagine a thriving community without a local newspaper. To celebrate our anniversary, we will spend the next several months retracing our history through a series of stories that mark this special place we all call home. The Pilot’s official anniversary date is Nov.21, 2015, so on the 21st of every month, we will publish themed historical content as told through the eyes of The Pilot. The journey will showcase old front pages, pictures and articles. Remember the Walker spy ring, Hurricane Isabel, or when the Norfolk Academy of Arts and Sciences became the Chrysler Museum of Art? For our kickoff today, we are focusing on the newspaper’s history, including our editorial courage and fortitude during challenging times. In future months, we plan to shine a spotlight on the important role of tourism, the ports and the military. We encourage you to check out other anniversary content on HamptonRoads.com/2015/02/150th-anniversary-1. There, you will find the newspaper’s logo evolution, dating back to our first, and a video we've produced just for this occasion. You also can follow our anniversary activities here and all year long via Twitter at #Pilot150. We have planned special promotions, events, giveaways and contests to say thank you for reading and patronizing us. I hope you enjoy the trip down memory lane. Feel free to drop me a note if you have Pilot memories you would like to share; and don’t be surprised if I share your stories in future columns. 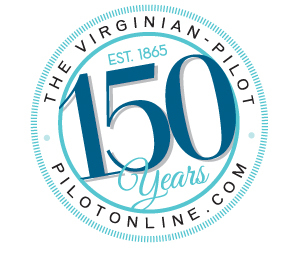 We are confident The Virginian-Pilot will be here for another 150 years, providing news and information on platforms that none of us can imagine. Thank you for your loyal readership. I look forward to traveling on this journey with you.